Very quickly because I am in prime weaving time… this is happening! All 8 shafts are in use! 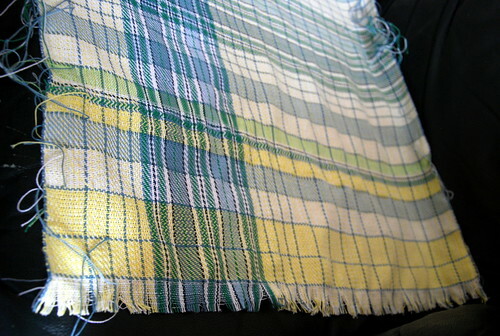 A first Elin Towel in the two block broken twill was yesterday’s weaving. 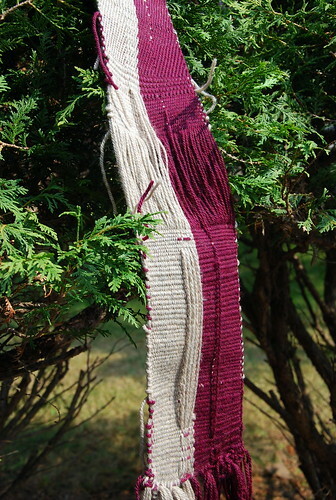 After much care for warping and tying-up to the kit’s instructions, I chose to weave 6 repeats of the first block, and 2 repeats of the second. The shine on my cloth beam was a happy surprise, and you can see why in this next threading image. 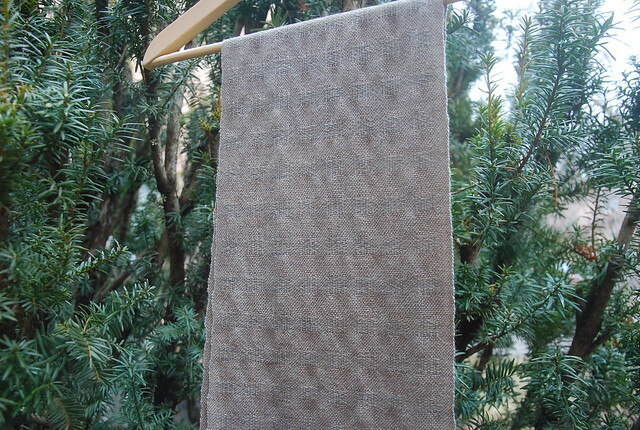 The kit yarn is Bockens Nialin 22/2, which is 60% cotton, 40% flax. 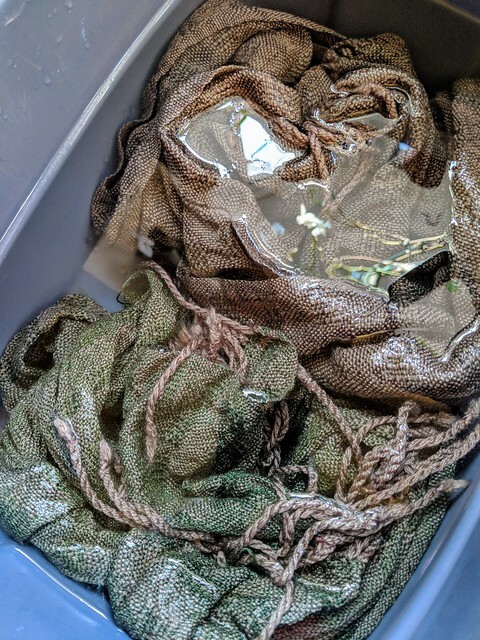 At this point, I saw neither the shine nor the flipping of threads in this section of the warp coming. Apart from needing to take extra care with threading back to symmetry, I enjoyed having all 8 shafts with these two straight threading blocks. Having more room to see the pattern take shape on the shafts was very interesting. Laced-on! Twist kept all behind the heddles. The adjustments after this point were fairly minor. 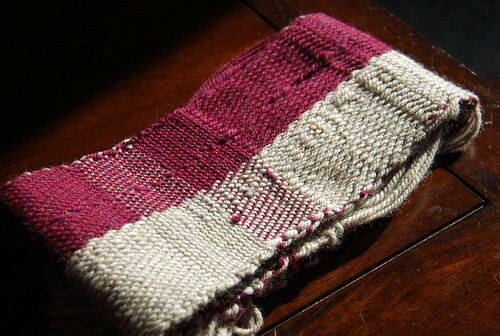 No part of this has been speedy but the eight treadle weave has made sense quickly enough. This kit by Joanne Hall was from my friend Margaret’s stash a couple of years ago. 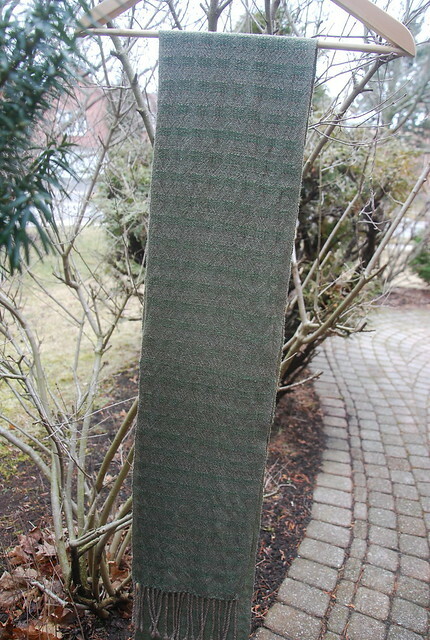 Finding things like a 3-thread cross, and different warp ties perked me up. 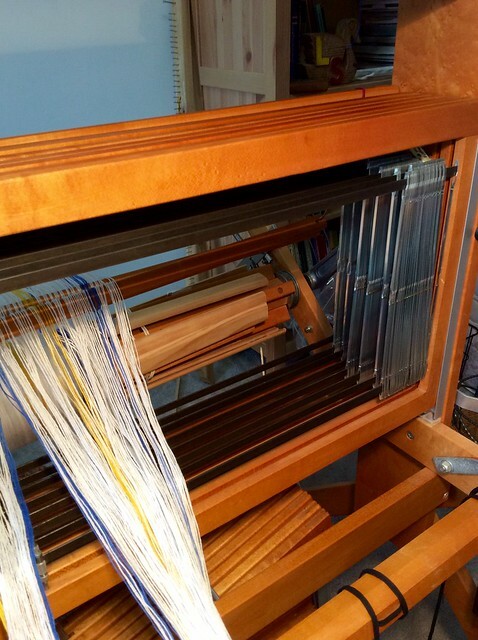 After three months with my loom folded behind a big guest bed, I was itching to weave. Following the kit let me do that, and then I decided why not go for this new step to using the back shafts of the loom. 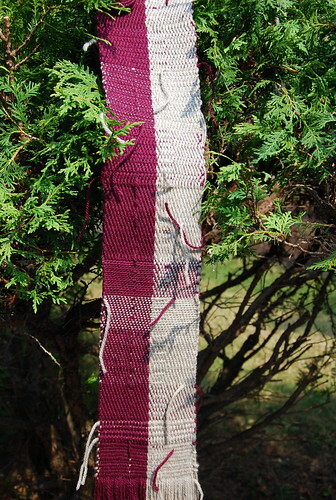 In the past a lot of my weaving has gone to others; these may stay in a tighter circle. The colours are so crisp, and I want at least a matching pair for our home. 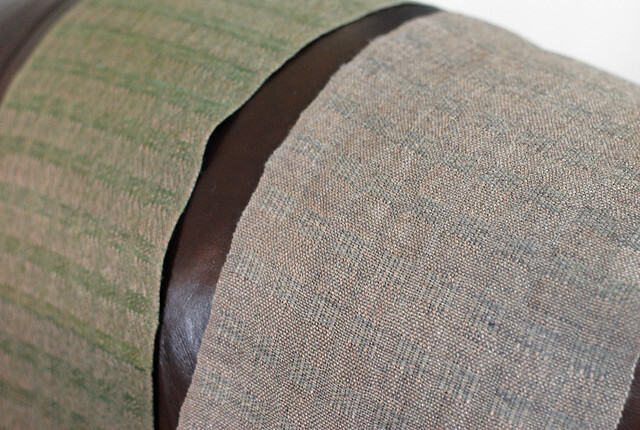 Nesting does new things, and it’s good self-worth! 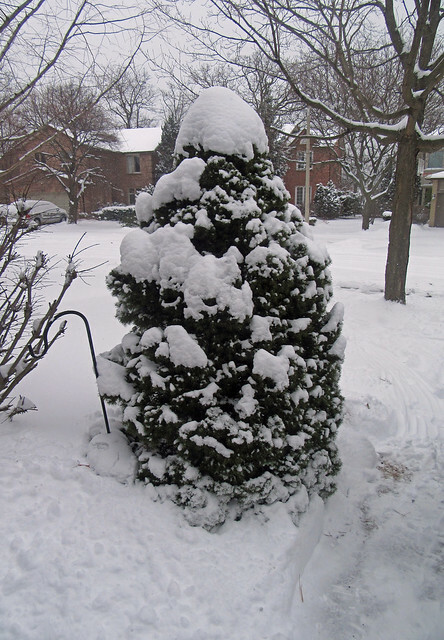 It’s cold out but I can hear birds singing & a rabbit crossed our path on the way to T’s school this morning. 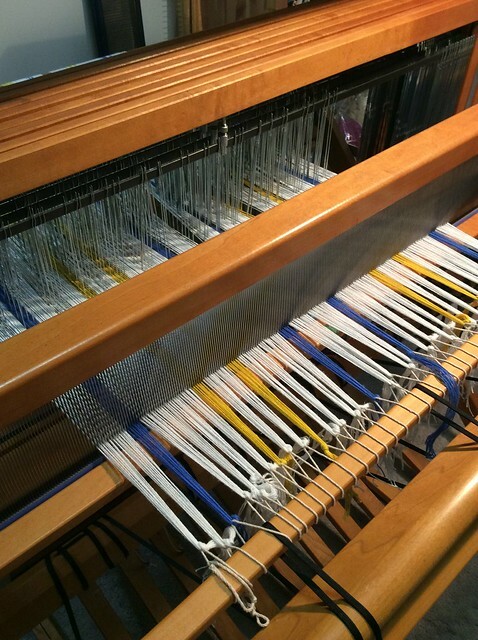 For now, I’ll be at the loom! 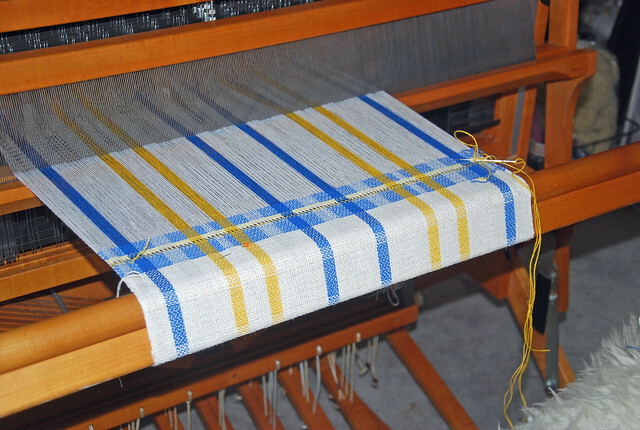 Categories: Weaving | Tags: 8-shaft pattern, cottolin yarn, Floor Loom | Permalink. Ladies and gentlemen, knitters and spinners, weavers and all those who fiddle with fiber, in just under four weeks the very first Weftember will begin! Weftember begins Saturday, September 7th (not on the 1st! ), and goes through Sunday, September 29th, midnight to midnight, Rav time. She said more but if you are a FOAY then you already knew that! Since she posted this 22 days ago, so far FOAY has managed a good 32 pages of pre-Weftember in fine form. 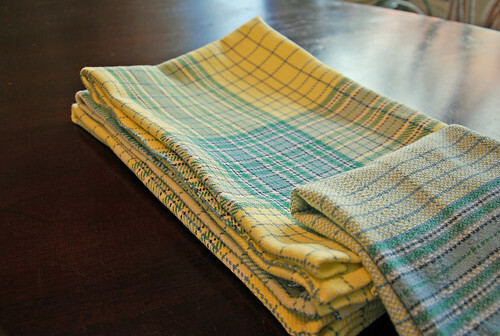 We each get to pick something that stretches us as a weaver. 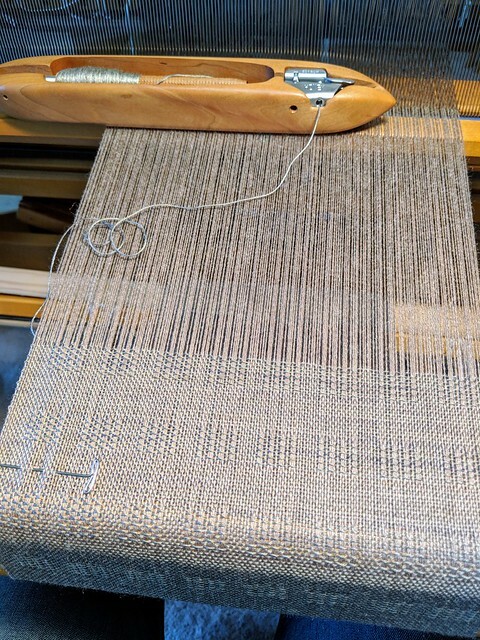 I picked taking a floor loom weaving Guild class that starts later this month. Weftember has drawn weavers from every nook & cranny of the skill levels. It’s been a rollicking first 32 pages. The group inspired me to sit back down at the loom bench. 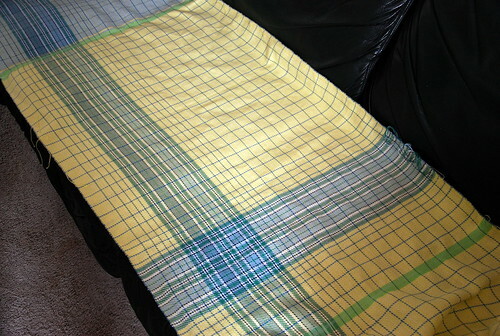 The end result may not be a looker but the weavers were having none of my shyness. You can thank them for any pictures at all! 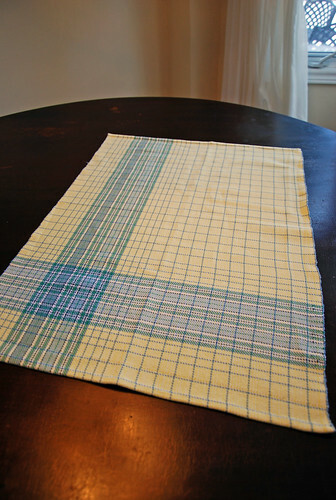 Janet Dawson’s Craftsy class is what really helped orient me, alone at home. She talks you through & also weaves with a smaller Schacht Wolf loom. Most of all, I love her ‘loom scavenger hunt’ for All the Ties. 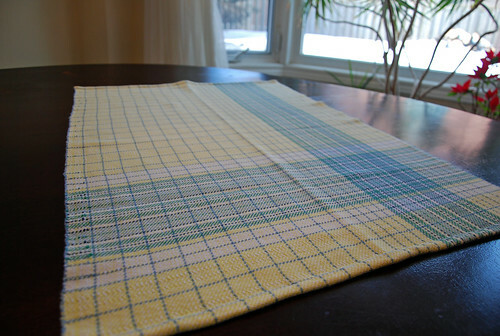 With Janet’s back-to-front warping, and Peggy Osterkamp‘s sampler from Weaving for Beginners, I made out all right. 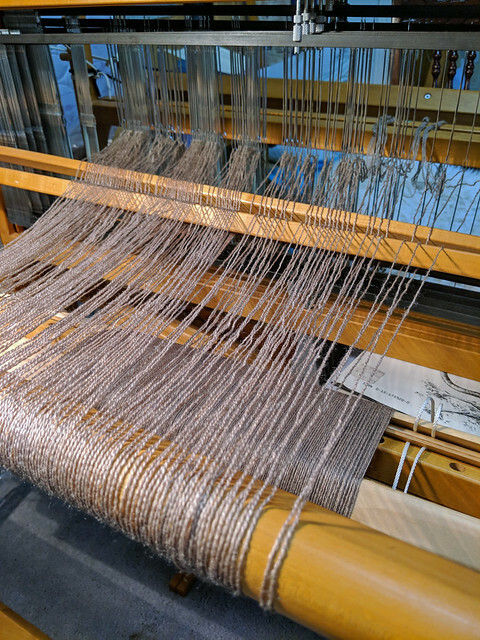 The lines of skipped warp threads are no trick of the light. I discovered rust to the back of the reed, and also my own sleying error. Several deep breaths later, I advanced the warp and fetched the can of spray starch. 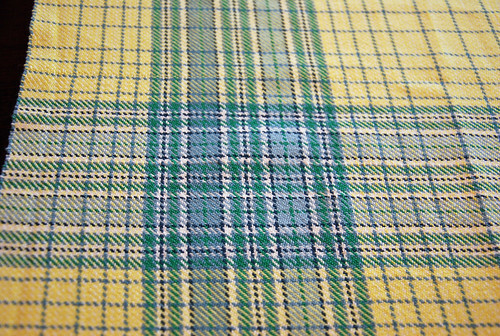 Starting over with plain weave helped but not entirely. See how the floats extend beyond that point? I tackled this again by hanging 2 heavy stone necklaces off the back beam. It worked! The trouble in the reed was much more manageable after that. 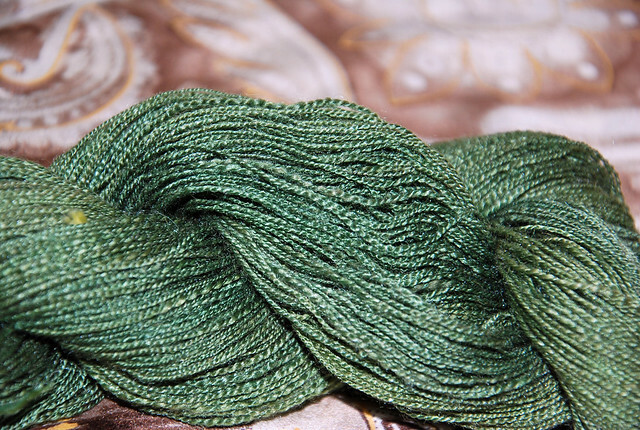 Yesterday, as my brain strained under the idea of a new floor loom warp, I had an Aha! moment. 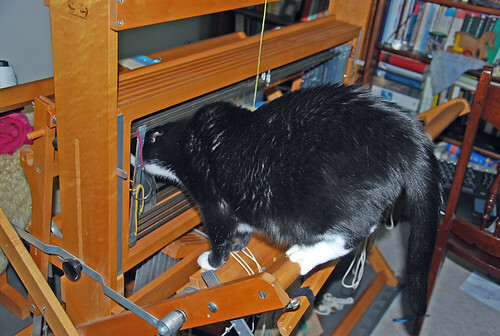 Soon the backstrap loom from String Thing was out of its basket hiding place. I was afraid that all the learning had flown out of my head but I was able to pick up, pallashanin as it were, where I left off. … formed by three pairs of threads of two colors. This is the first design that the weaver learns. It is a series of shells side by side. Here I was seeing some mistakes, and learning by doing. Soon, I was thinking more in terms of creating the design: “two red legs; yellow heart” and “sonqopa heart.” I remembered to drop warps first, and I didn’t saw my yllawa or string heddles when changing sheds. 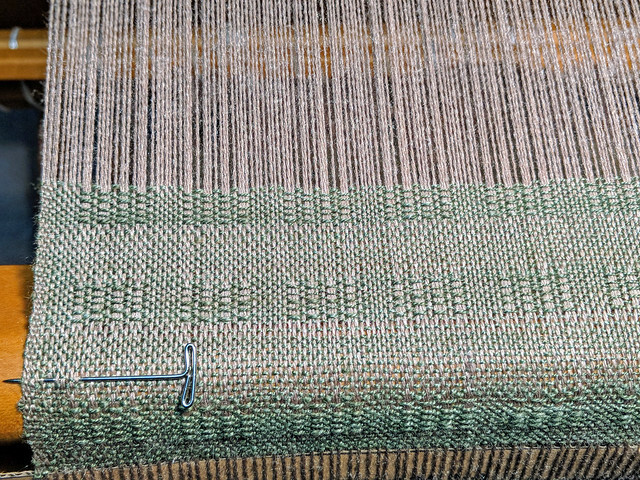 My loom manipulation improved, and so did my weaving. 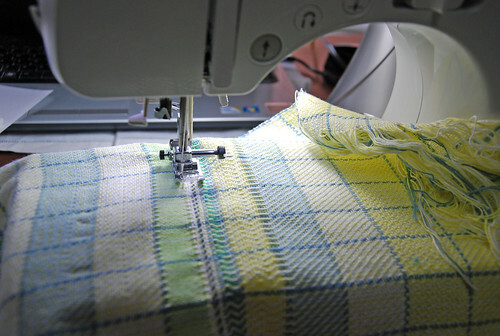 Backstrap weaving is so simple, and yet so far from my true grasp. 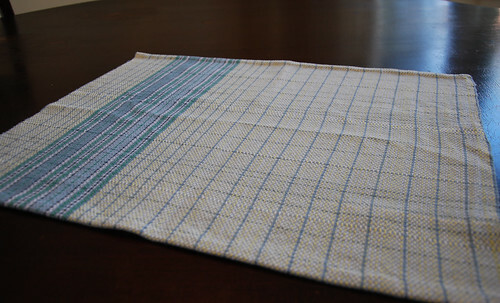 Categories: Getting the knack, Weaving | Tags: backstrap weaving, Floor Loom, Ravelry | Permalink.